Naval Officers' Spouses' Club San Diego - December Bunco! Ho, Ho, Ho! Christmas spirit is in the air as well as New Year's cheer! Come eat, drink, and roll the dice to help us celebrate Christmas and the New Year! Details below about an optional White Elephant and Ornament exchange! You can choose to do none, either, or participate in both! 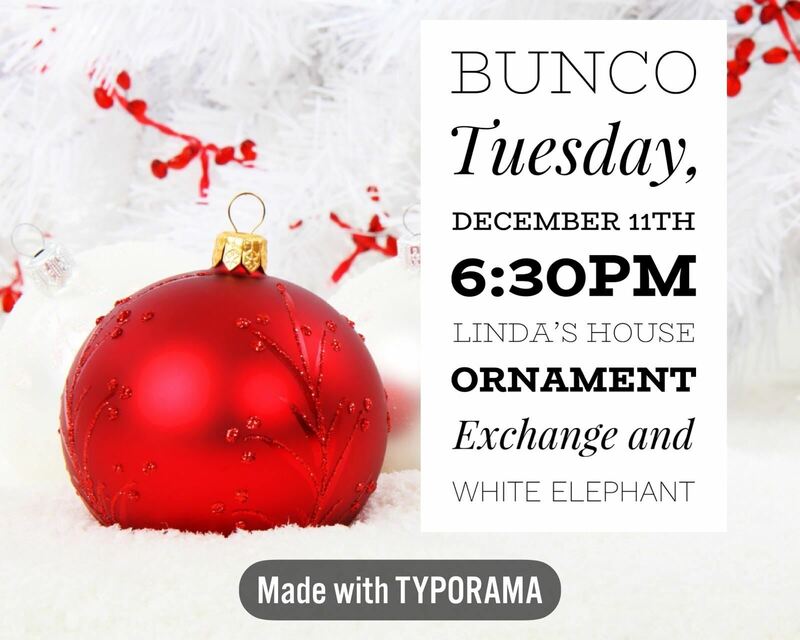 Please bring a wrapped White Elephant present of your choice to play along after the Bunco game concludes. Please bring an ornament that you can give out during this fun activity!